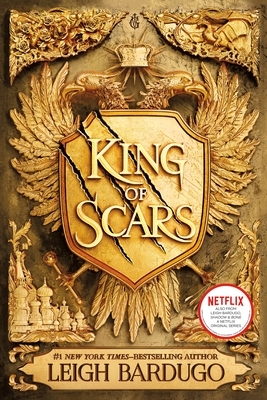 Let’s be honest, by now, no one is surprised that Leigh Bardugo writes an incredible novel, but King of Scars was the book I needed to read right now. Conflicts among Ravka, Fjerda, and Shu Han are coming to a head with the discovery of parem, and it’s never been more dangerous for Grisha. Refugees are pouring into Ravka—assuming they aren’t killed by the Fjerdans or enslaved by the Shu—and at the center of it all, King Nikolai Lantsov can’t even keep his mind under control, still traumatized by the Darkling’s torture. Nina Zenik, undercover in the most dangerous place for a Grisha to be, is on a mission to help those persecuted by the state escape to safety, but her grief threatens to overwhelm even the simplest of orders. King of Scars is many things: folklore-inspired, full of generous world-building and thoughtful plotting, but above all, it is a story about how to keep fighting when you have nothing left. 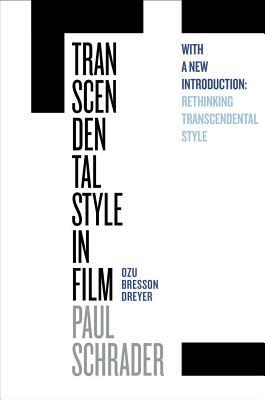 Originally published in the ’70s, this is a new and updated version of famed American director & screenwriter Paul Schrader’s theory of spare cinematic styles that a few directors employed to convey a spiritual experience in their works. In this updated version from last year, he also discusses slow cinema, video art installations, and Andrei Tarkovsky. I know, I know this probably all sounds like stuff that’ll put you to sleep, but I’m an absolute ghoul for film theory. Also, I’ve been watching some of the pictures referenced in the book as I’m reading it and Schrader really clarifies how style can convey the profound. 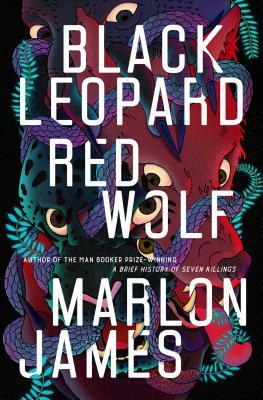 Black Leopard, Red Wolf is a vast and encompassing story in which every part is essential to the whole; its frustrating attempts sum up all the feelings neatly, easily, or quickly—but here goes: James has built a world in which the fantastic folklore soars sky-high and roots around the depths of demented imagination. There are clawed monsters and winged demons that drain blood and eat hearts and infect victims with crackling lighting seed that circuits through their bodies, glowing from the inside out and driving them with mad devotion. White scientists (even wickeder than witches), islands that swim like fish, river goddesses, smoke children, and god-killers live and breathe in James’ world. His world is brutal and cruel, visceral and graphic, deliciously vivid and the filthiest kind of funny. In it are wicked monsters and wickeder people, but also men who fu(enlist in consensual carnal satisfaction)ck and men who love, and a boy who became a man that borrowed an eye from a wolf and is said to have a nose (though they forget to mention that he also has a mouth). It’s unforgettable, with a sense of timelessness that makes it feel as old as the world and steeped with reality that leaches into memory and lies waiting for more. An experience not to be missed! Next Post Teen Thursday: On The Come Up!